Living in the brutal Chicago winter, gloves are a necessity. With temperatures continually near or below zero frozen fingers are horrible. But, the downside of gloves is the inability to use your phone. Who wants to pull on and off the gloves to text? With Glider Gloves, I can text away without removing my gloves. 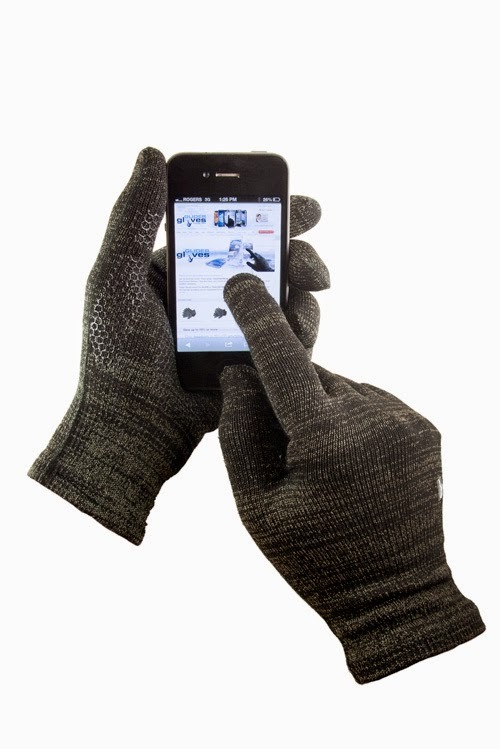 Glider Gloves are a touchscreen friendly gloves. Unlike other types of touchscreen gloves on the market, these gloves actually keep your hands warm. All of the layers are made of conductive material. Your fingers stay warm but still offer the touch screen capability. The special material does not damage the phone screen and you don't have to take off our gloves to use your device. These gloves work with any type of device. The gloves are available in a variety of colors. The Glider Gloves work for men or women and are available in unisex sizes. There are two styles available, Urban and Winter. Glider Gloves can be purchased online for $24.99. These items would make a great stocking stuffer for anyone on your shopping list.